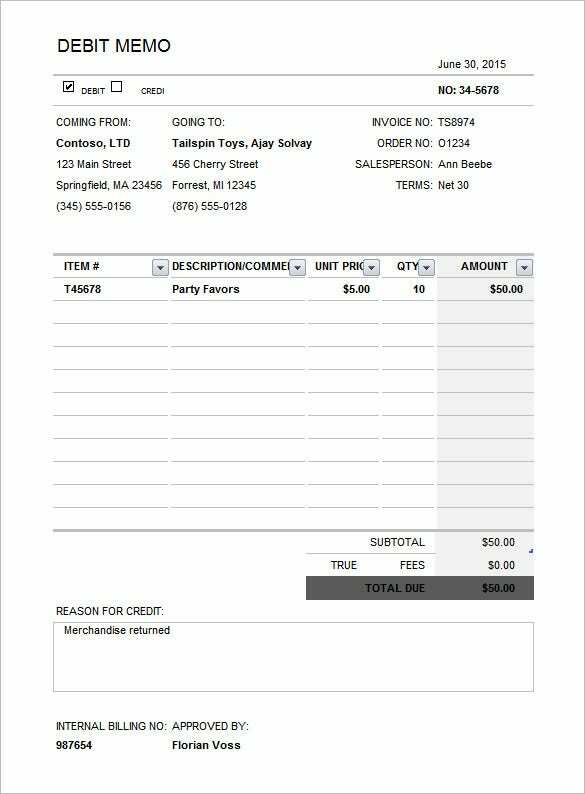 Any company that is in operation needs debit sample memo templates to operate efficiently. 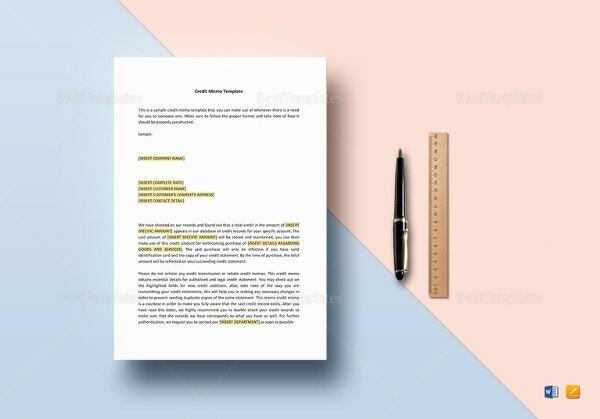 It functions similar to an invoice whereby a company incurs some charges for the goods it sells or the services it gets from other companies and the Credit Memo Template do the same.However, a debit memo is different from a credit business memo template in that the company does the billing internally. 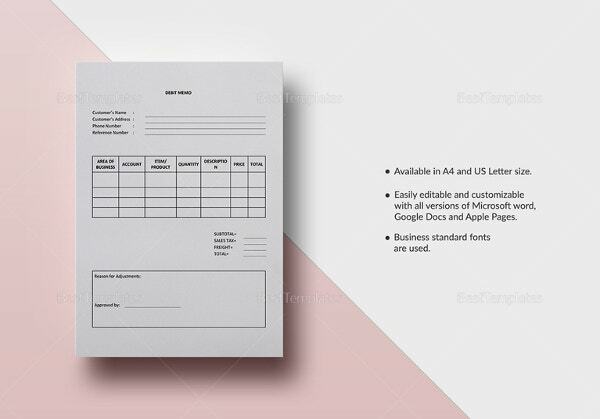 You may also see Credit Memo Template. A department or a branch within a company conveys a bill to another branch or department within the same company. 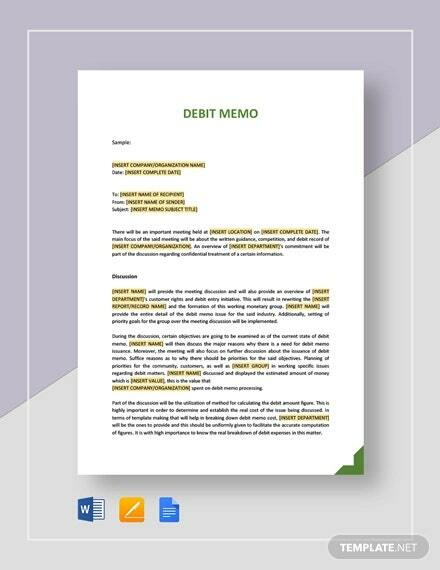 Therefore, a debit memo is a kind of an internal billing that a company uses to record a branch or department’s sales to another department or branch within the same company. 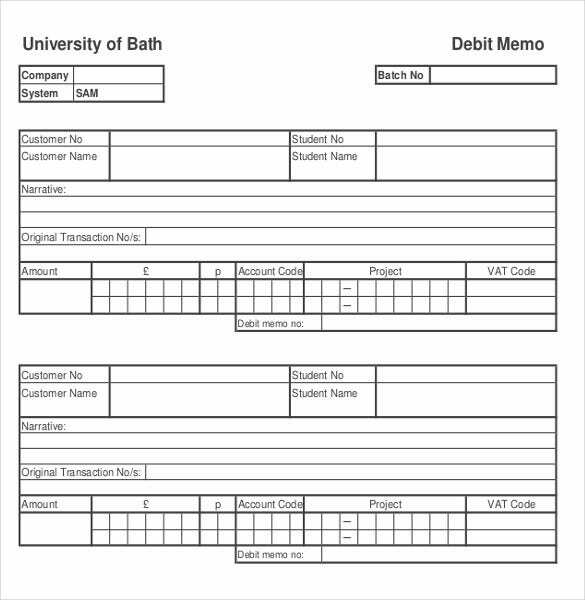 With a debit Memo Template, the company branches may not make any physical payment, although the internal financial department may record all the transactions clearly. A cash debit memo is a must if you want to keep a track of your expenses, personal or in your place of work. 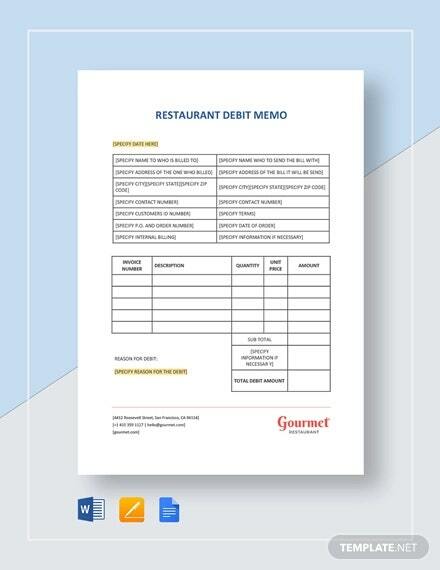 Whatever may be the reason, you could always resort to this debit memo template to help you out. You may also see Business Memo Templates. 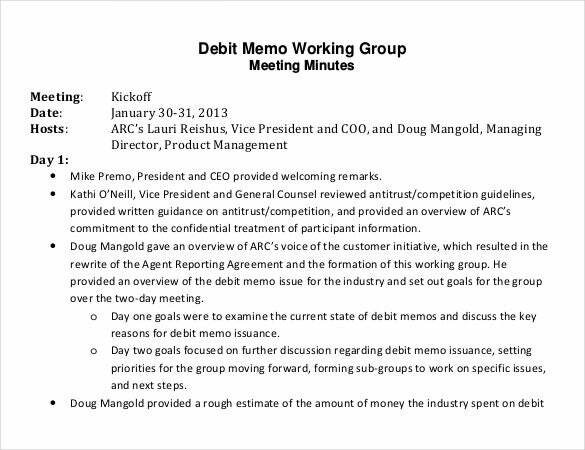 This debit memo template is in the excel format, which means it has been divided into rows and columns. When it comes to debit and credit, these tables are a blessing! This well designed and neat layout is just what you need in a debit memo. 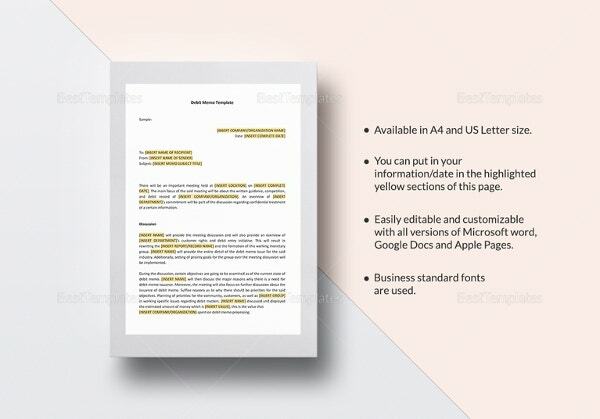 You may also check out here Sample Legal Memo Templates. In this particular debit memo, you’ll be able to list a variety of details like customer name and other information. If you’ve been looking for a detailed and neat debit memo with a splendid layout, this is the one for you. You may also see Word Memo Templates. The first thing that strikes you about this layout is the neat structure. All the important points have been presented in the form of bullets which makes it appear all the more attractive. Plus, other details like subject have also been added. you may also see Free Memo Templates. When it comes to banks, it is always good to have an idea of the debit and flow of cash. 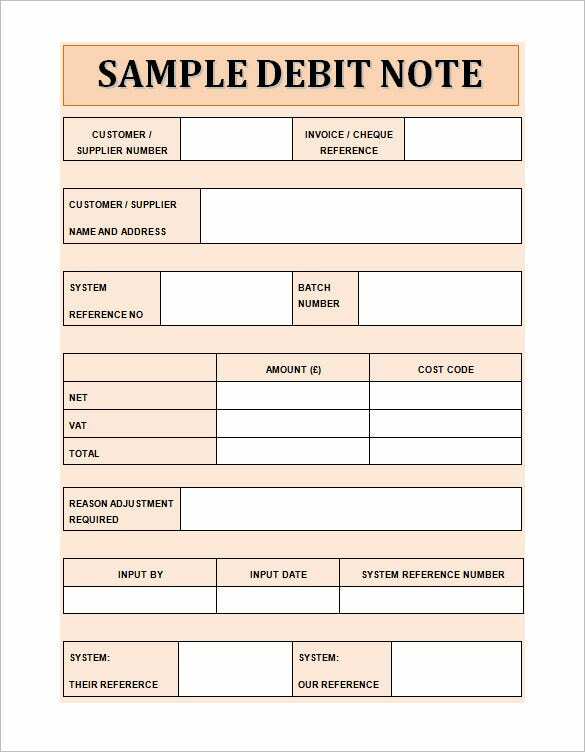 Hence, if you were to take a debit statement from your bank, you could use this debit memo to create it with utmost ease! You may also see Blank Memo Templates. A debit memo is a lot similar to invoice in many ways. 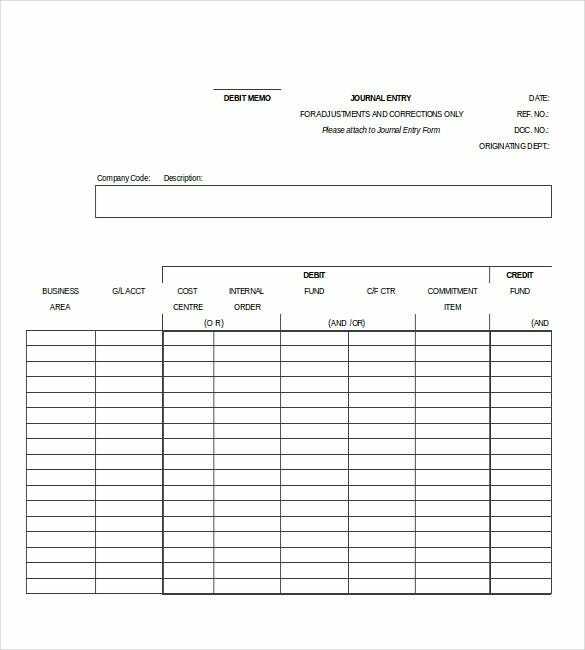 If you’re a vendor who’s been looking for an easy way of creating your cash invoice, them this is the debit memo template for you. All you have to do is download it! You may also see Internal Memo Templates. A debit note is an extremely important piece of document. 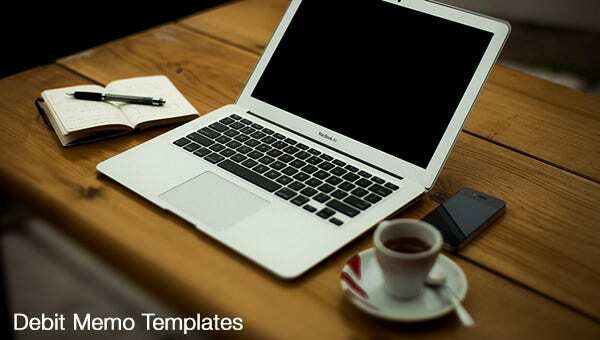 If you’ve never created one before, you could download this template and use it as a sample. You can follow the format presented there and rest assured, it has been created by experts who know what they’re doing. 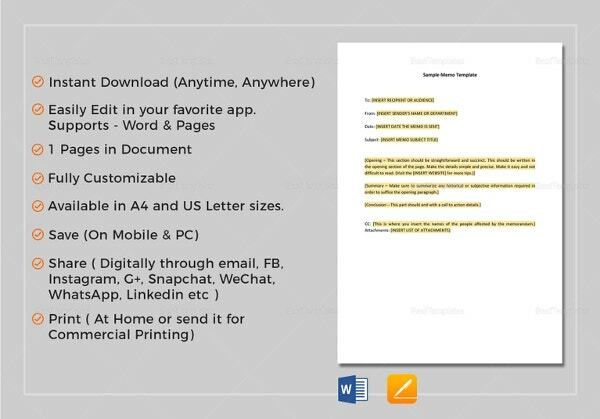 You may also see Sample Cover Memo Templates. All banks provide a debit note to customers who have opens accounts with them. 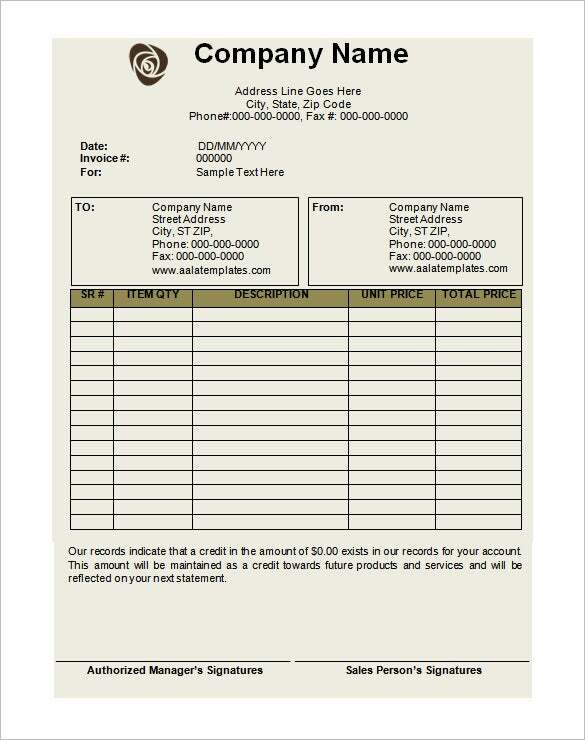 If you too want to create a debit memo, you could always take the help of this amazing template. It would certainly be of great help! You may also see Simple Memo Templates. Most vendors provide their customers with a debit memo. It would contain details about both the buyer and seller, along with details about the transaction in question. 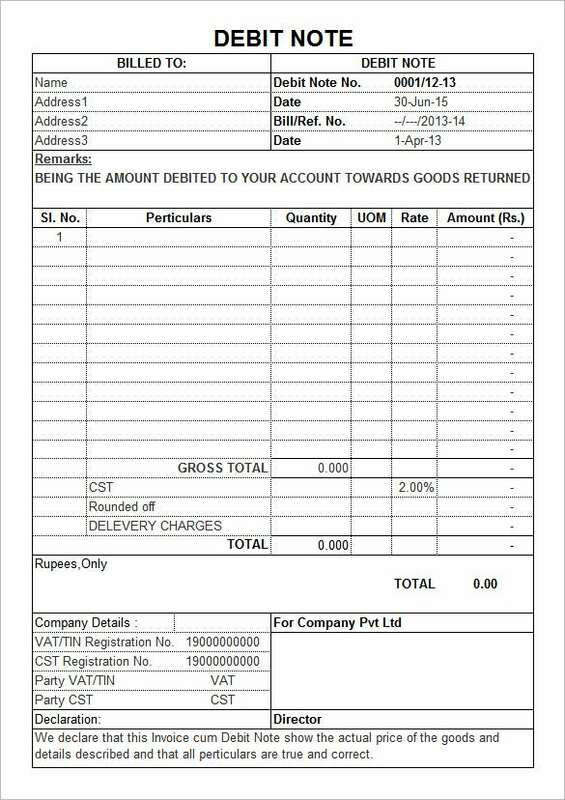 Hence, if you’re planning to create a debit memo for your customer, you could use this template. You may also see Decision Memo Templates. 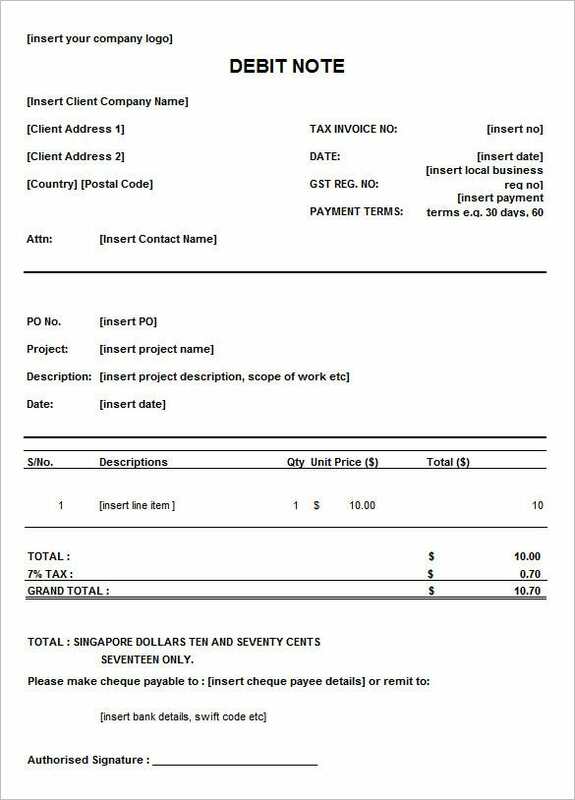 An effective debit memo should reflect all the operations existing between the company’s different branches and departments to facilitate a better financial condition.Therefore, Memo Template must include similar columns to those found in an invoice template. 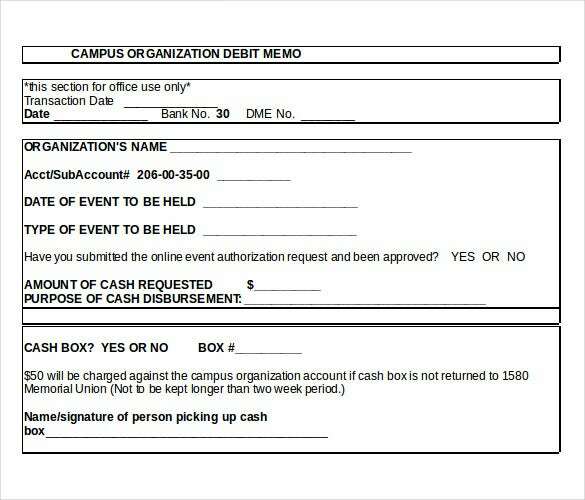 These columns include the departments or branches column, the department’s information and its contacts and the debit memo number. While calculating interest, it is always better to be organized and efficient. If you have to make a list of the interests related to your debit account, you can use this template. All the fields have been marked for you in the template already, you just have to start filling them. 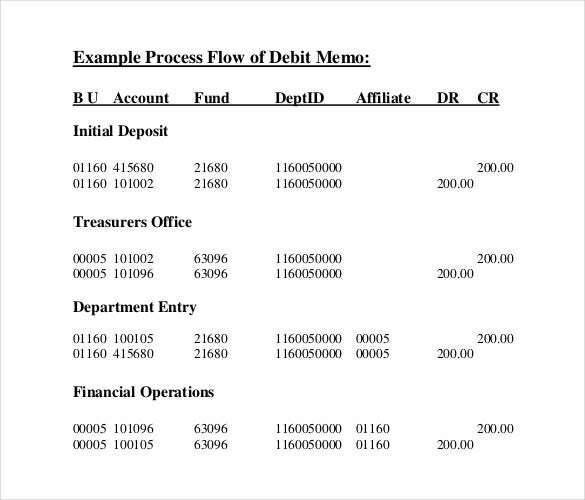 A debit memo should also record some additional information like the reasons for drawing the debit memo printable, which the departments head should approve. This allows the company’s auditors to track every activity within the company. You may also see Confidential Memo Templates.